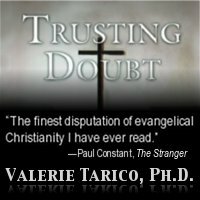 For videos about the psychology of biblical Christianity and resources for recovering Evangelicals, visit my popular Youtube Channel. Jesus: Too Good to be True? Is Christianity an Ego Trip? What if God is Man-made? What is the Born Again Experience? I was brought up in the evangelical church, reading KJV, singing hymns from the welsh reformation period, memorizing verses, trying my hardest to understand the KJV when I have dyslexia. I did sometimes enjoy sunday school, but I didn’t always understand the relevance when most of the stories appeared to be about boys/men and I was a girl. so when it said “brethren …” I’m like I’m not a boy, the hymns sometimes also said things that appeared to be from a male point of view. My minister didn’t seem to do exegesis, but sometimes literally thumped the bible. Not a pleasant experience, I wouldn’t call it worship. I think he was virtually a fundie. At 23 I was cajoled to read the bible through. I’m just wondering where on earth some of the hymn singers got the idea that the god of the bible is kind, benevolent, a father?. I did like Jesus and found him inspiring, I wanted to nurse and I think that’s largely because of his influence in my life. I really couldn’t cope in that environment added to that I had my learning disability. It hampered me socially, emotionally and dare I say sexually, when I was already hampered by the “special needs” label. I really don’t think that the evangelical church is a good place to be when you’re hunting for a partner, I did want to keep some standards even if i didn’t agree with every jot and tittle. I’m so glad I left, and I will make sure my kids have a variety of different groups to go to and we’ll try different churches to see if they like it, it’ll be their call if they want to go. Hello Valerie. I have been looking through your website and commenting on a few things. I find it quite surprising and remarkable that you spend such an incredible amount of time on religion, god, beliefs and such all having to do with the evangelical myth and manipulations of yoru experience. Is it not time to move oon and leave those things behind. I do not see that you have achieved that. All I see sadly, perhaps my own twisted view, is an evalegical person still doing the same work but in a different style. Still preaching the word of god, chrisitanity and other nonsense.